Skin peels can be an amazing way to revitalize skin. In fact, skin peels give you a whole new layer of skin by removing the damaged and dead skin cells currently atop the skin. The new skin is undamaged, unlined, and more youthful, giving you the refreshed look that you’ve always wanted. We offer a variety of skin peels that can help with nearly any skin care concerns or conditions. Skin peels can include special ingredients for anti-aging, acne reduction, and much more. Skin peels are done on an outpatient basis — no hospital time needed to get fresh new skin. What skin care issues can skin peels help with? Skin peels can help with skin care issues of all types, including all of the following. Many people who opt for skin peels need help with several of these issues. Skin peels can be customized for the individual based on specific needs. The Ageless team is here to help customize your skin peel experience based on your needs and goals. There are several different types of skin peels, and each is best suited for specific issues and concerns. Options include the following three peel types. The light skin peel: Light skin peels are the lightest type of skin peel. They remove the outermost layer of dead skin. Light skin peels are best suited for the treatment of fine lines and wrinkles, mild to moderate acne breakouts, patchy skin tone, and chronic skin dryness. Because light skin peels are the most minimally invasive kind of peel, you can have them more often — as often as once weekly for six weeks if you wish. The medium skin peel: A medium skin peel is a stronger peel that removes not just the upper layer of dead skin but also the next lowest layer. This medium deep layer of skin, called the dermis, is the layer where some of the deeper skin problems form, for example, wrinkles and acne scars. Most patients who have medium skin peels get this treatment once and then repeat the treatment after about 12 months. Medium skin peels often require some type of sedation to ensure your comfort, although you may feel some tingling when the doctor applies the solution. The deep skin peel: A deep skin peel is the strongest of all skin peels, and it’s generally used in the more severe cases of skin issues. For example, if you have deeper wrinkles, severe acne scars, serious pigmentation issues, or precancerous lesions, a deep skin peel might be the right choice. A deep chemical peel can last many years, especially with good skin care practices. Deep skin peels require anesthesia, which allows you to be comfortable during the procedure. While deep skin peels have the most dramatic results, they also have the longest recovery period. With medium and deep chemical peels, you’ll often have some sort of sedation. This means that you’ll need to arrange for a friend or family member to drive you home after the procedure. Skin peels can combine quite well with other types of procedures, and in fact, many clients opt for more than one procedure. You can discuss your goals with the doctor to get recommendations for the procedures that can help you be your most beautiful. 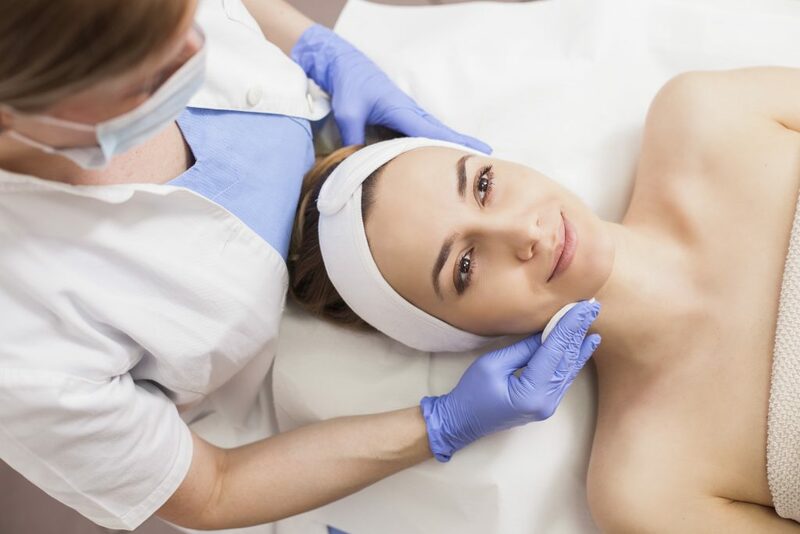 Some of the other procedures that might work well with skin peels can include Botox, dermal fillers such as Juvederm, and Kybella for double chin reduction. Is a skin peel right for you? Your Ageless doctor will evaluate your candidacy on an individual basis. Skin peels are most effective in patients with light skin, but they can be used on darker skin in the right circumstances. Certain acne medications can mean problems with skin peels, so if you’re taking these medications you may have to wait until you haven’t taken them for six months to have a skin peel. Some patients with keloid scarring should avoid skin peels, as well. Contact us anytime to arrange a skin peel consultation! We look forward to seeing you soon.